This time, I`m writing about some of the lessons that I have found within the magnificent book, Toyota Kata by Mike Rother. You can get a direct access here and understand into dept what Toyota Kata is and how you can develop the scientific thinking behind this great book. 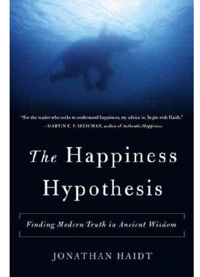 Today`s post is also related to other great book I`m reading; The Happiness Hypothesis by Jonathan Haidt. I will proceed to explain how this two books relate each other, and why I think they are both right. Chapter 4 in Toyota Kata is about knowing yourself. It is a chapter in which Mike Rother explains clearly the evolution of one piece flow. Through his research it is explained that the very first company that tried to achieve a flow of one piece at a time: which is a key concept in LEAN, was Ford Motor Company. In this chapter it is explained the evolution from the T model assembly line, from static bays where all materials and workers walked to the body and started assembling the parts to the idea of one infinite conveyor transporting raw materials all the way until the car was completed. The solution the engineers at that time used was... open holes on the walls of the building to connect all different processes to achieve a better flow. We have to remember that at that time, the T model was assembled in one building with different levels. Where processes took place at different levels and as the processes continued, down the building, final line, located at ground level (you can see a drawing of the building in the book to get the idea of what was like to build a car in the 1910´s). We should´t spend much time benchmarking. We are the benchmark. Is obvious. This statement is clear, if we know that Kata is basically a thinking model of; first, define What our current condition is? Then, Where do we want to be next? and finally What are the obstacles preventing from getting to the desired condition? All this thinking implies analysing ourselves, or our companies. I have written a few about my days at Ford. I remember that during the first months, as the plant was being prepared for the launch of Fiesta, we had to read a lot about Toyota, and then do some training about tools such as FMEA, 8D`s, SPC, etc. The vision, was to create the best manufacturing system on the world, and of course, our model was Toyota. We read the Toyota Way, the Toyota Way Fieldbook, we learned about kitting, one piece flow, standard work and also about the Toyota Way of Lead; Learning to Lead at Toyota which is a HBR article. This article had a major impact in myself, as also did Toyota Way and all the things I learned there. I also remember that one of the early presentations I saw, was about Toyota Yaris, a B segment Vehicle that at that time was the Best in Class, and as we were preparing ourselves to launch Fiesta, Toyota was the automaker to emulate. During my years there, I was able to participate in many Benchmarks, but in the end, they brought little value, since in order to make a big change in our vehicles, a major development was needed. And often cost/benefit analysis showed major changes didn´t make sense. To my surprise, I didn´t know that it was Ford the very first who tried to achieve the ideal state of flow. The highland park story, mentioned above was unknown to me, and I`m sure it is the same for many of the colleagues working at Ford. The Paradox is that Ford was trying to be like Toyota, studying the Lean methods and principles, and I believe that similar conclusions could be achieved by examining its own story. The secret is... to be embedded, connected.... happiness comes from between. Going back to Kata. The conclusion I have for this post is to think about the times we have tried to use a tool or to implement a practice from a competitor or from other industry. Sometimes after conducting some benchmark, we have concluded that the specific solution may not apply to us, because of many constraints in our environment. Does that mean that we should stop doing benchmarks? No. I believe is important to know whats going on with our competitors, or with other great companies. But I believe that in order to be efficient, to improve faster and to become lean, we must identify our current condition, where do we want to be, and then, analyze, what constraints prevent us from getting there. This is key, cause knowing ourselves, will lead to more efficient solutions. Solutions that will work within our environments and will fit our needs. And more important, will be difficult to copy, cause they have been tailored for us. I think this is one of many secrets Toyota has taught us. Do you notice another paradox here? Thank´s for reading. Would love to read your comments below.